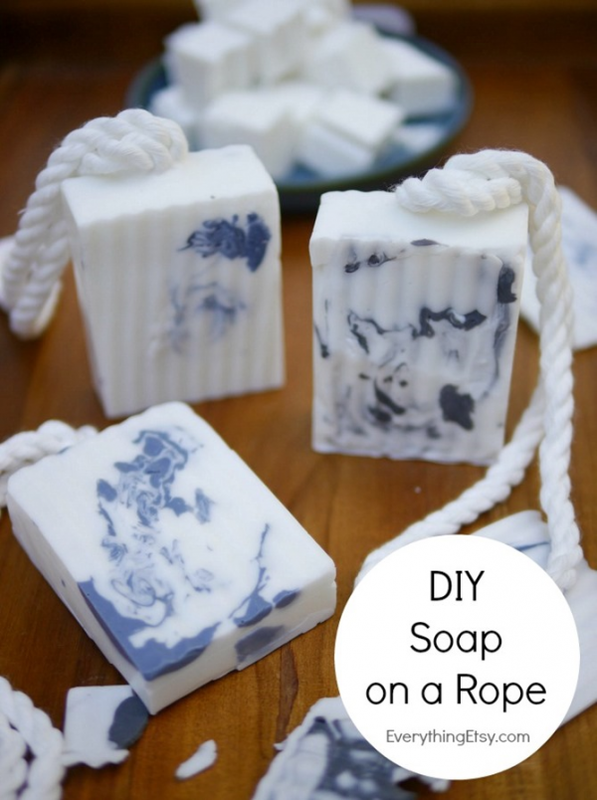 I used to LOVE making homemade soap! 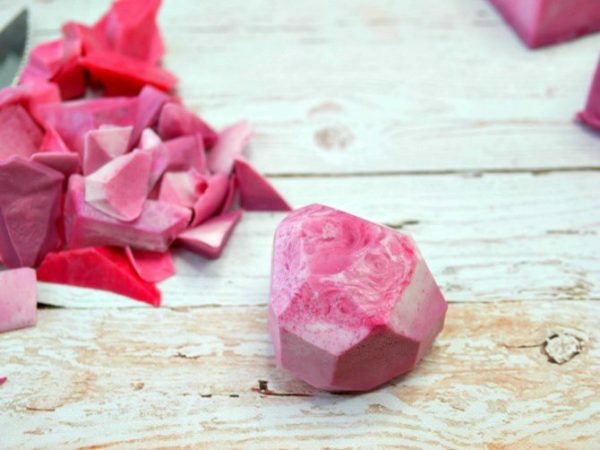 With a few simple ingredients, you’ll be on your way to making this easy to make Handmade Gemstone Shaped Soap. These decorative shaped handmade soaps you can create at home makes a great gift idea or the perfect creative addition to your bathroom. 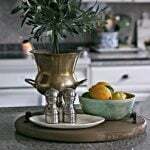 Please enjoy this guest post from a long time blogging friend, Kim. She always has the best creative DIY ideas. 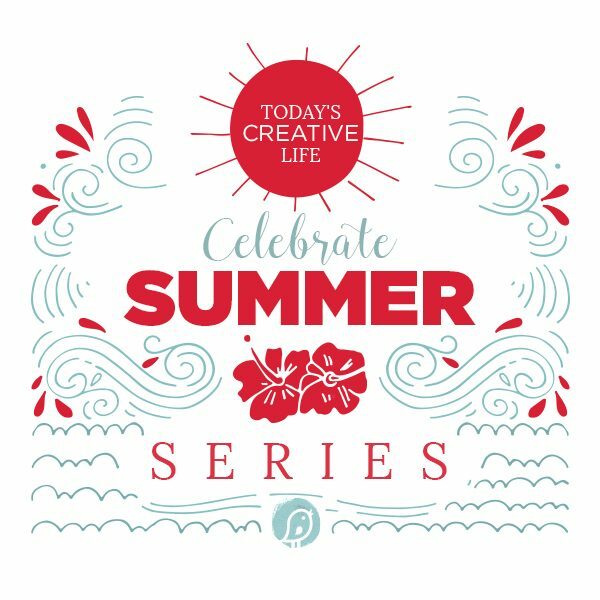 Last year for my Celebrate Summer Series she made the cutest DIY Felt Succulents. 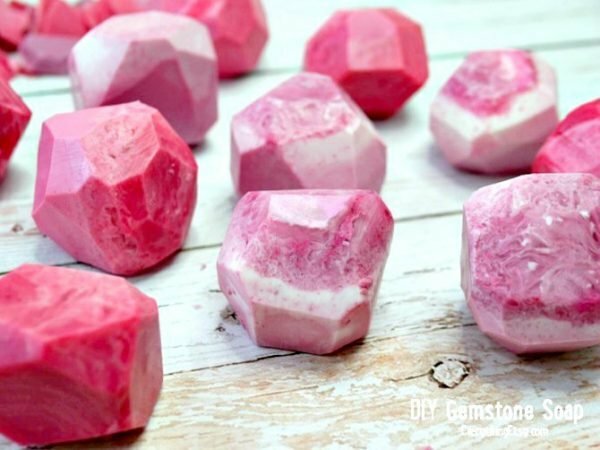 I’m Kim from Everything Etsy and I’m excited to share how to make this Handmade Gemstone Shaped Soap Recipe that’s a perfect afternoon project. You can make a batch in no time at all. 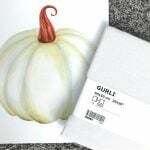 Add a few to a dish in your bathroom, or put a few in a pretty bag for a gift. 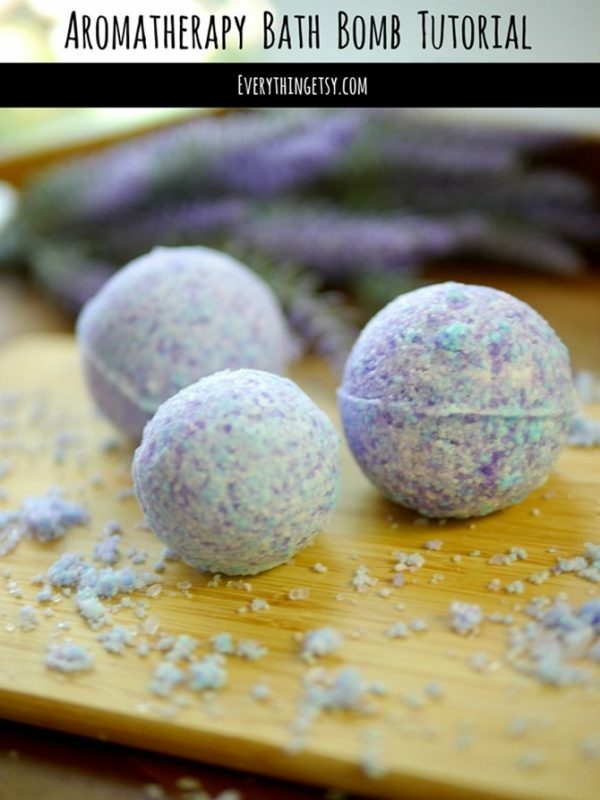 As a bonus, your home will smell amazing while you make these…enjoy! 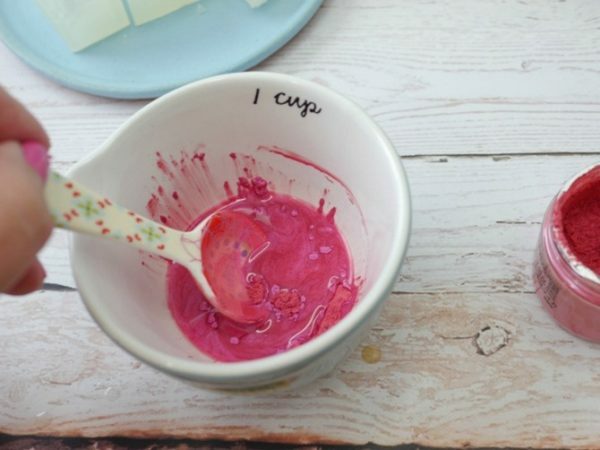 Prepare ½ teaspoon of pink mica powder and ½ teaspoon alcohol mixed together in a tiny bowl. 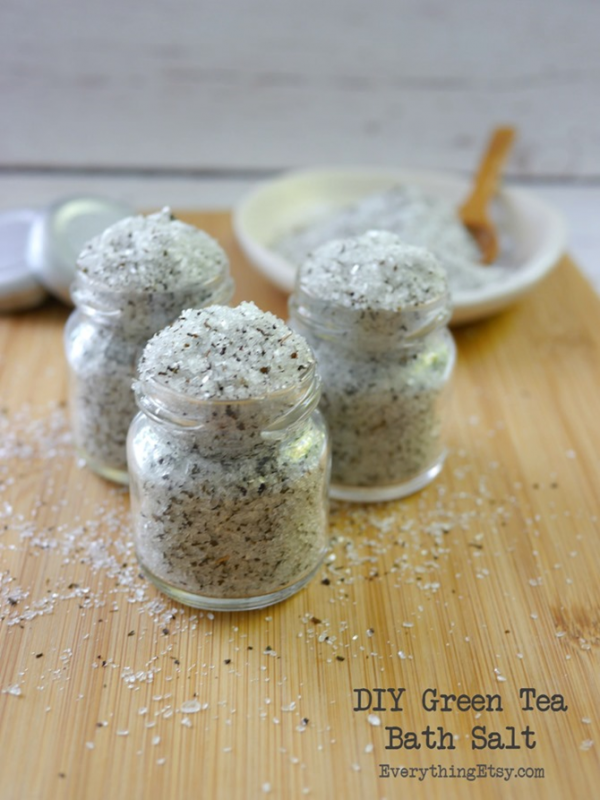 This will get any clumps out of the mica powder. Add 5 drops of Lemongrass essential oil to each soap mixture. 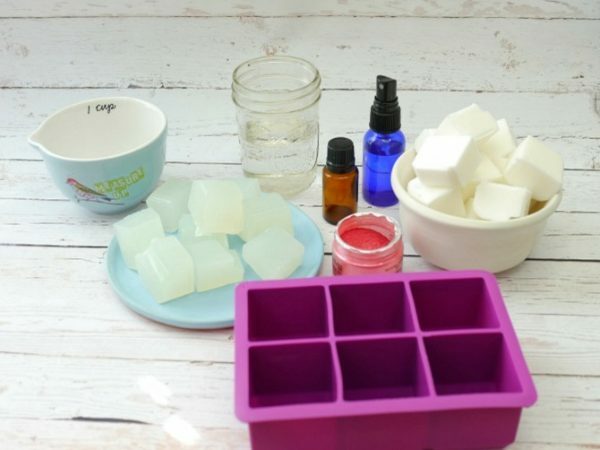 Pour the mica mixture into the White Glycerin soap along with a couple drops of soap coloring. 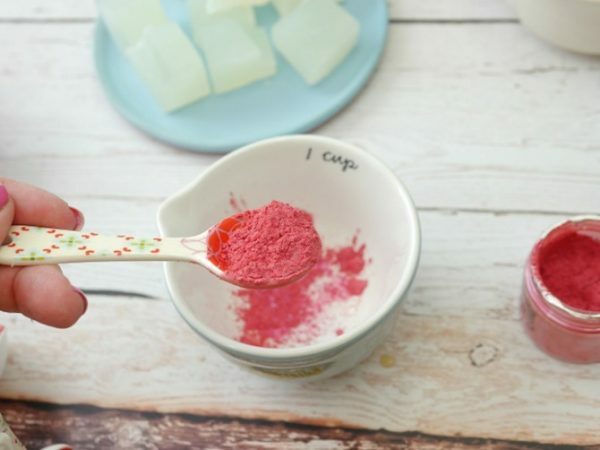 Add a couple drops of the soap coloring to the Olive Oil soap. 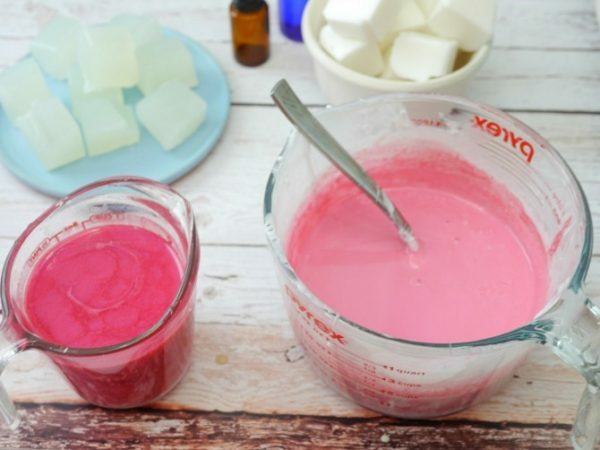 Mix them and pour the soap into the molds alternating to create a blend of soaps. Lightly spray the surface with the alcohol spray to remove bubbles. Let set and remove from the mold. 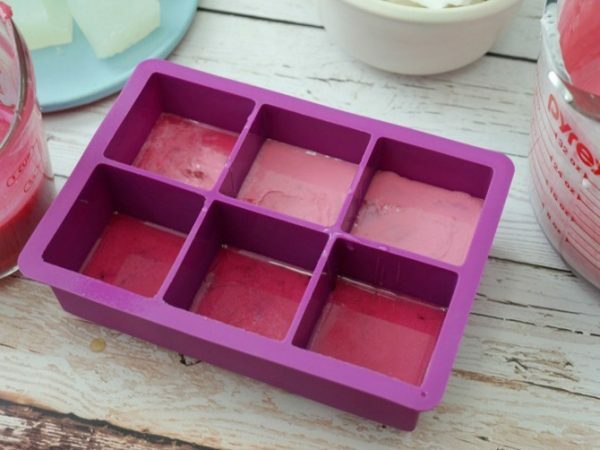 Take a sharp knife or metal soap cutting tool to make 6-10 slices on each mold creating a gemstone look. 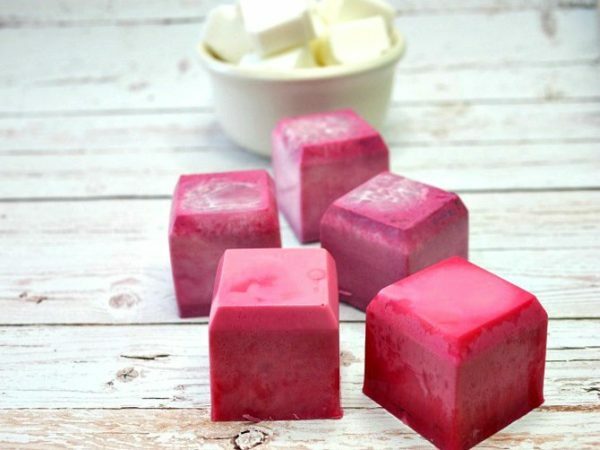 You can do variations with this soap by adding the mica to both of your soap mixtures or adding a touch of mica in between pouring the soap. Have fun with it! 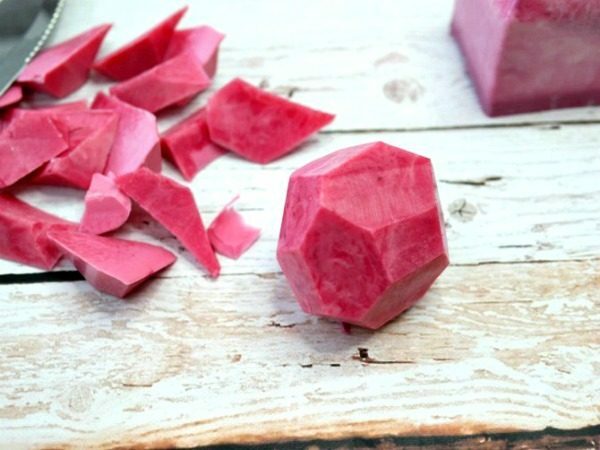 The scraps that you cut off of these to create the shape can be recycled into other soap. 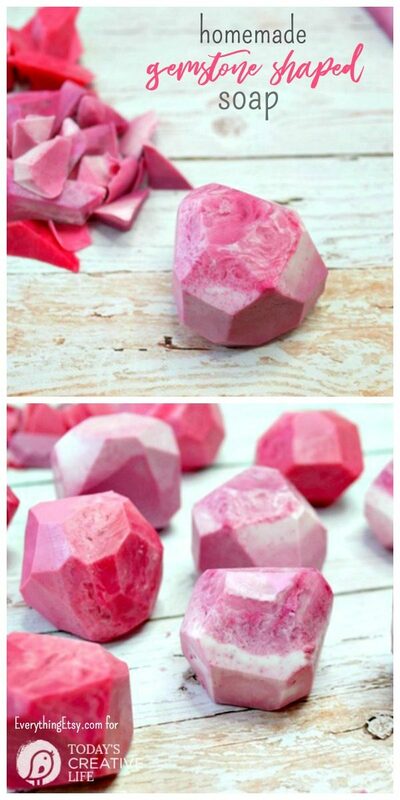 Just melt them in a glass measuring cup and add a bit more essential oil after it melts. There are endless color variations! I love soap-making! These are so beautiful!! 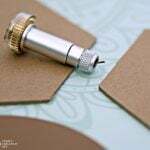 Would make party favors!